The first ever tank was invented at a Lincoln engineering company, William Foster & Co Ltd in 1916. They had been approached by the Admiralty Landship Committee to design a prototype tank. The top secret work was carried out in a room at the White Hart Hotel in the city by Foster’s Managing, Director William Tritton, his Chief Draughtsman, William Rigby and Major Walter Wilson of the War Cabinet. The first design was deliberately falsely described as a water carrier for Mesopotamia to conceal its true purpose. The workers referred to them as ‘water tanks’ or simply ‘tanks’ and the name stuck. The tanks of today are still recognisably from the original design, made in Lincoln. 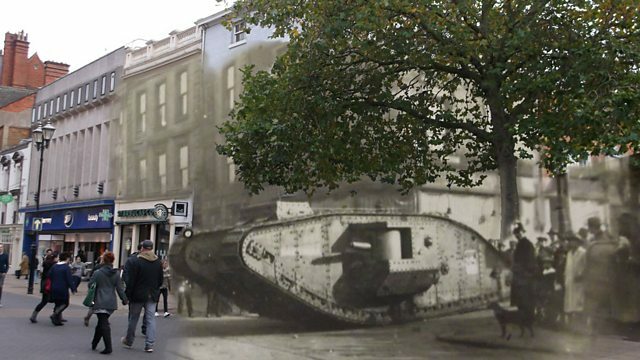 Did WW1 nearly bankrupt Britain?